The Elcometer 7300 High precision stopwatch is professional high precision, digital LCD pocket sized stopwatch for measuring flow time. Time/calender display: hour, minute, second, month, day, date. 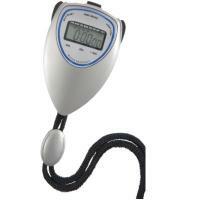 Stopwatch Measuring intervals: 1/100 second for 30 minutes and 1 second for 24 hours.